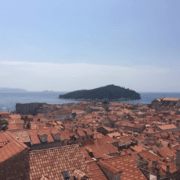 You are here: Home / Blog / Reader’s email: Experiences on visiting Croatia in December! Reader’s email: Experiences on visiting Croatia in December! 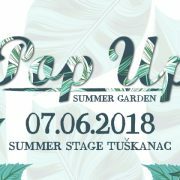 A few months ago, we were very happy to receive a lovely follow-up email from a traveller to Croatia (who we assisted in their travel plans via email), which told of their happy experiences whilst enjoying a summer holiday in the country. Very recently, we were happy to receive another such email from a traveller (that we also assisted, pre-trip, via email) from Latin America who visited a number of towns and cities in Croatia. 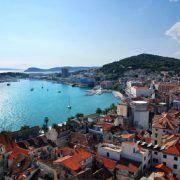 His comments are well worth reading as he provides a number of very useful tips on the places he visited, whilst it’s also interesting to note his experiences as he visited Croatia in December – and as Croatia is often considered a summer-only destination, it’s great to see an enjoyable visit during this particular month. I’m back from my trip to Croatia and it was great in every sense including the weather. We were able to visit Zagreb and stayed at the Dream Hotel near the airport on our first and last nights. The hotel is quite new and the furniture is custom made for the limited area of the rooms. The service was more than expected with buffet breakfast (I expected toast and coffee!) including fruit, juices and with eggs made to one’s request. The personnel was very helpful and even prepared breakfast at 5 a.m. before driving us to the airport for free as advertised! We later visited Vukovar where some of my wife’s relatives live. A new museum of a prehistoric culture is being built. It will be inaugurated in 2013, so there’s an additional tourist attraction besides the war-related things. We visited it and it’s located next to the Danube River with an unobtrusive design on the hill. From Dubrovnik we flew to Split (via Zagreb). We stayed at the Palace Judita per your recommendation and were fascinated with the hotel and it’s service. It was worth the looong walk with luggage from the bus station. After Dubrovnik, Split doesn’t seem as impressive or beautiful, but was worth visiting. It would be better to visit Split first. Too many graffiti on the walls give a bad impression. It’s rather difficult to determine where the Palace starts and ends and the shops outside the walls are not a nice sight although they do offer bargains. A map was more than enough and no tour is needed even on a 1 day rush visit. At the hotel, Marija, the manager, recommended Konoba Varos, and we were delighted with the good service and seafood which was fresh, tasty and well accompanied with a local wine. This is a restaurant we will remember for a long time! Back in Zagreb, we visited the old part of the city. It’s too bad that new buildings are built along old ones because the city has very nice neo classical and gothic architecture in some places. 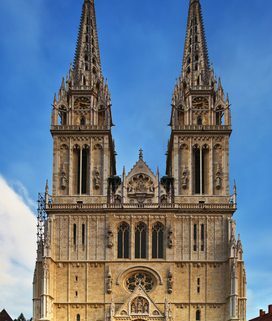 The area near the cathedral is well kept and the cathedral is worth visiting even considering we had seen some impressive ones in Spain, particularly Toledo’s. Thanks so much for your help in making this trip such a nice one and without ugly surprises! We’d like to return to Croatia although it’s expensive to fly from Guatemala. Thanks very much, dear traveller, for taking the time to email us after your trip and for your kind comments as well! We’re very happy to hear you enjoyed visiting Croatia, and thanks for providing us (and other travellers) with some great tips! If you’d like any assistance in planning a visit to Croatia (this is a free service – and we don’t try and push any kind of company or service on you! 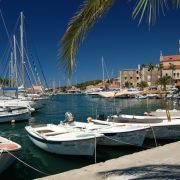 ), please do email us at webmaster@visit-croatia.co.uk. We’d be more than happy to help – and would love to hear your experiences of visiting Croatia! 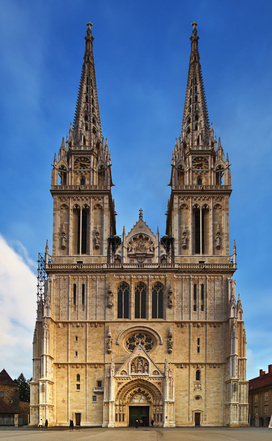 https://www.visit-croatia.co.uk/wp-content/uploads/2012/12/zagreb_cathedral.jpg 441 272 annaz https://www.visit-croatia.co.uk/wp-content/uploads/2017/09/visit-croatia-logo5.jpg annaz2012-12-30 21:41:362018-11-21 11:09:00Reader's email: Experiences on visiting Croatia in December! 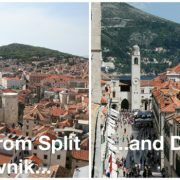 Getting from Split to Dubrovnik...and Dubrovnik to Split!